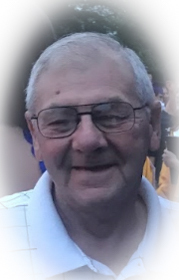 Eugene L. Markley, Sr, 69, of Ephrata passed away on January 14th, 2019. He was born in Columbia to Lucille Fuhrman and the late Valentine Markley. Eugene proudly served his country in the United States Marine Corps during the Vietnam War. Eugene leaves behind his mother, Lucille Fuhrman; his children, Eugene L. Markley, Jr, Michael A. Markley, Sr, Kristy L. Landis; twelve grandchildren; a sister, Margie Minnich; step-siblings, Janice Sholl, Jamie Waughtel, and Scott West. He was preceded in death by his wife, Kathryn Elizabeth Markley in 2011. If you would like to send a condolence message to a family please fill out the form below and we will deliver it to them.